'Gluten-free dining' doesn't need to be a synonym for 'salad'. London's demand for gluten-free food has rocketed and now pizzas, lasagnas and pies all come suitable for coeliacs. Here is the comfort food - you know, the cheese-topped, piping hot or chocolate-stuffed sort - to warm the cockles of even a gluten-avoider's heart. What restaurants mean by 'gluten-free' varies, with some pizza joints, for example, using gluten free flour but the same oven as their usual pizzas - so they aren't suitable for coeliacs. All of the places we've chosen, on top of turning out great food, should be happy to answer questions about their ingredients and cooking methods. See our article on London's best gluten-free dining here - for more advice and inspiration to keep your gluten-free eating experience safe, unstressful - and most importantly, delicious. 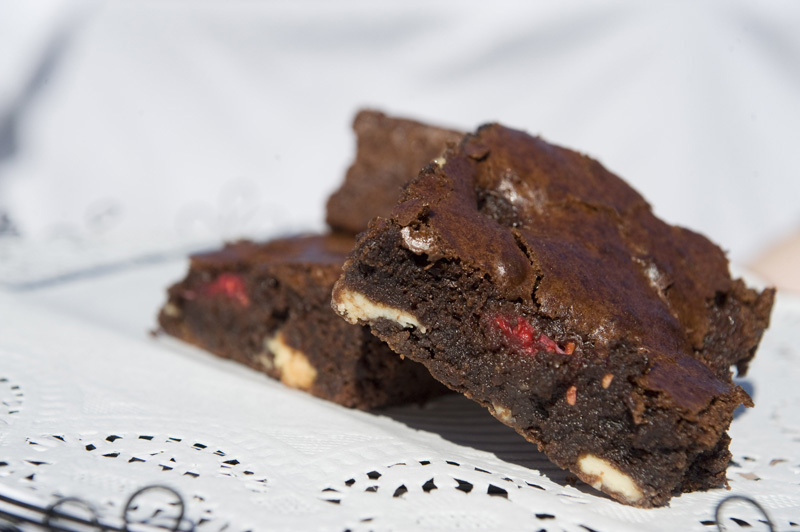 Brownies, blondies, Black Forest or Red Velvet - the gluten-free decadence being sold at this bakery's Borough Market stall comes in a range of colours and flavours. There's an impressive number of great gluten-free desserts on offer in London, but a comfort food round-up wouldn't be complete without some chocolate in there. Make the Free From Bakehouse's toasted nut brownie your gluten-free - and soft, chewy, rich - comfort food of choice and you'll never look back. And be aware that buying a sharing bag of them doesn't constitute an obligation to share them. Just saying. With branches scattered across Camden, Islington, Finsbury Park and Holborn, you're rarely that far from a La Porchetta in north London. That's no bad thing - any of the pizzas or pastas on the menu can be served up gloriously gluten-free, the only stipulation is that you allow an extra 20 minutes for it. You'll find the best comfort food in the Al Forno section of the menu: the Lasagna della Casa is a traditional heap of pasta, minced beef, tomato sauce and a thick bechamel. And the four-cheese rigatoni dish, baked in the oven is... well it's four cheeses. You can't argue with four cheeses. Check their website for more locations. Hot, cheese-topped, and you can eat it with your hands - does comfort food get any better than pizza? 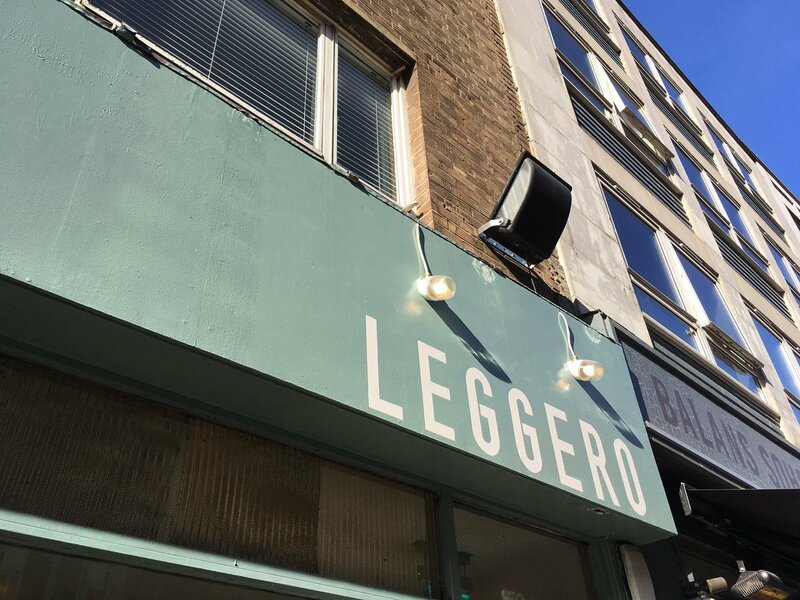 This north west London institution - small, informal and hovering between deli and pizzeria - gets extra comfort points for offering delivery, meaning you can get your hands on their gluten-free pizzas without ever leaving your sofa. An Italian we called in to consult swears he can't tell the difference between the mix of corn, polenta and rice flour in the gluten-free bases and the gluten-heavy version. Maybe he was just distracted by the toppings, which come with a bit of extra swagger - like the homemade chilli relish on the Vesuvio, morphing it into something more exciting than your usual pepperoni. 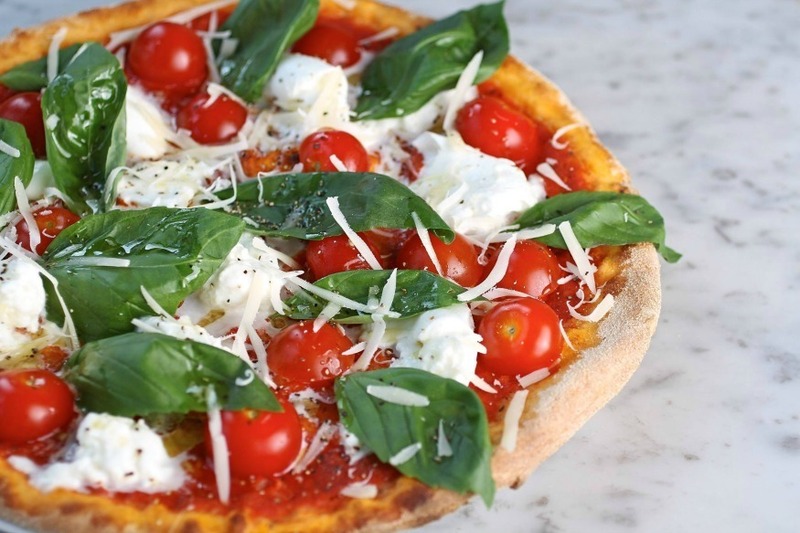 Read our full article on the best gluten free pizza in London here. A pie lives and dies on the quality of the pastry, which makes gluten-free pies a risky enterprise. 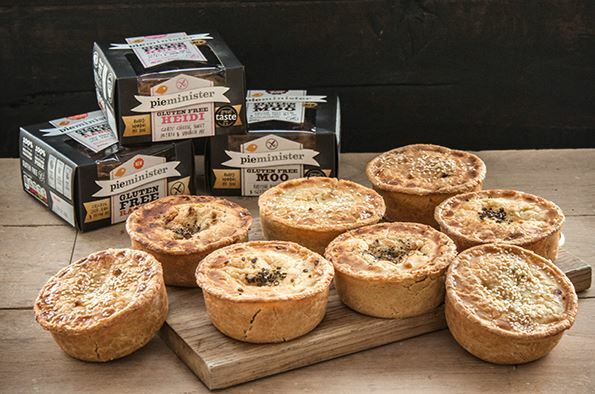 Fortunately Pieminister is serving gluten-free versions of three of its best - the Moo pie, the Heidi and the Ranger. 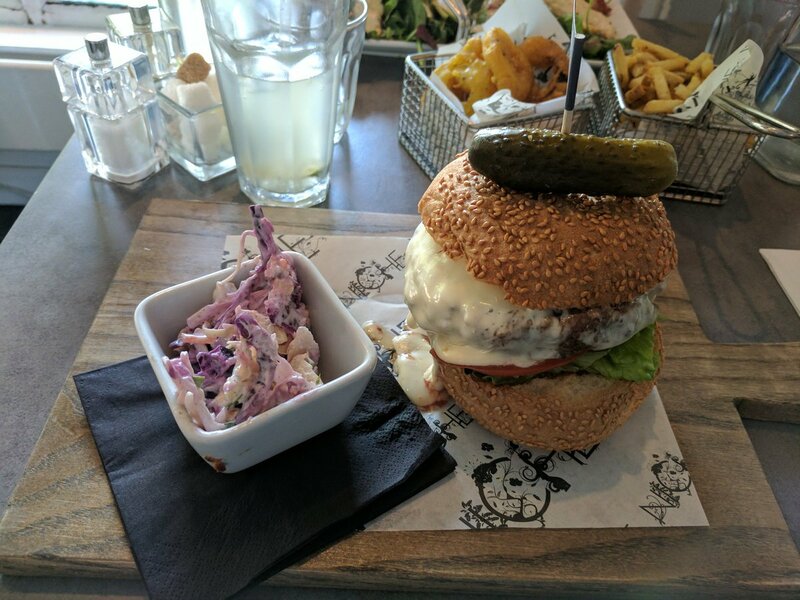 The Ranger is a classic: chicken and ham with leeks, while the Heidi pie with goats cheese, sweet potato and spinach is a supremely veggie treat with ooze in all the right places. 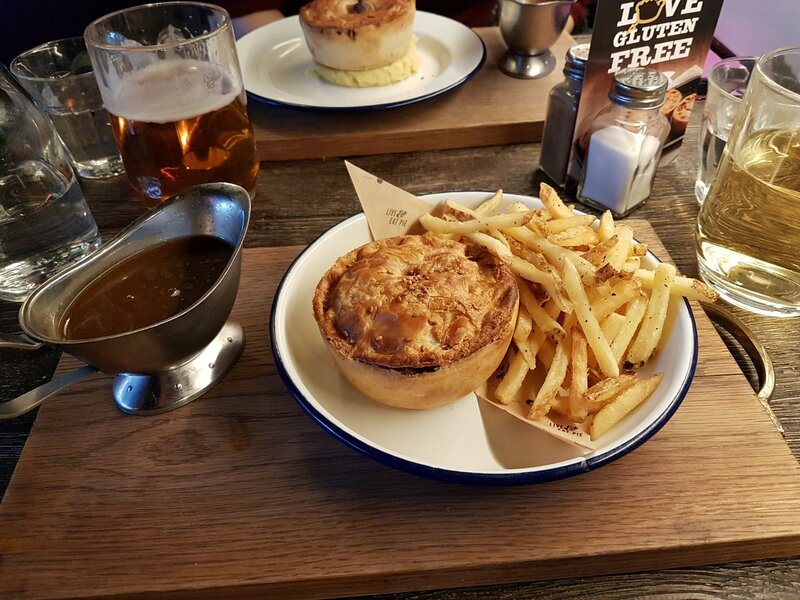 But it's the Moo - a steak and ale pie made with gluten-free craft ale - that just inches the competition. Why? The wholesome gravy turns the pastry from good into great. The gluten-free menu is also on offer at their Gabriel's Wharf and Brixton locations too. It's is a difficult one to call - this EC1R restaurant is totally gluten-free and a pleasantly large number of dishes on the menu at Niche count as comfort food. A lot of strong contenders for first place. Sausages and mash (and not just any old sausages, sausages with smoked pork, beef, paprika and tracle)? A full English which is everything you could want from a fried breakfast, including gluten free white, toasted bloomer? Buttermilk fried chicken? Brisket cooked in beer? Roasted garlic and truffle oil mash? They're all worthy contenders, but the two-cheese simplicity of the parmesan and cheddar doughnuts is a winner for gluten-free diners. Heck it's also a winner for anyone who likes donuts and cheese, and would like to support this holy coupling of the two. 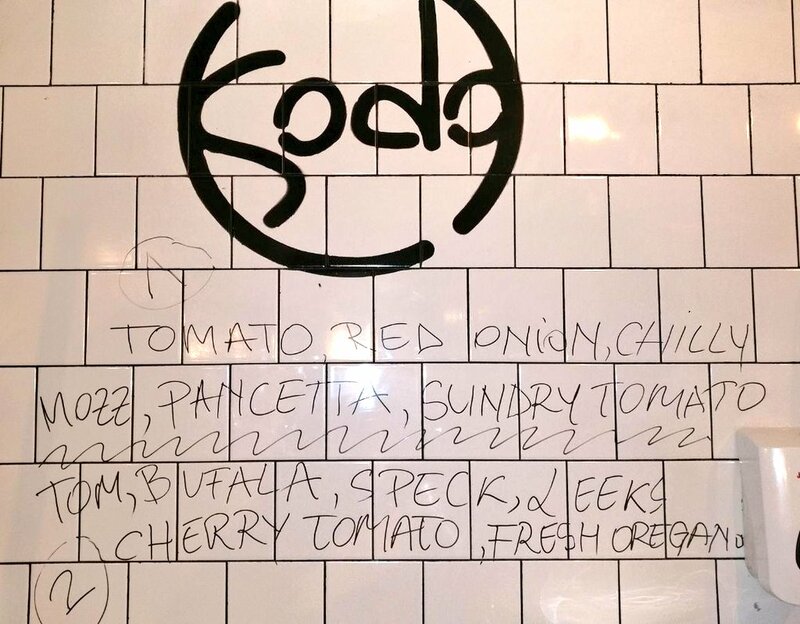 Pizza-topped anything is always going to be a winner on comfort food lists, so it's extra exciting that Sodo offers this twist on the gluten-free pizza. They'll do their usual pizza toppings but rather than sitting them on a base, instead they swap it out for a cannellini bean stew baked in the oven. A hot, rich, bean stew - already ticking a lot of comfort food boxes - topped with everything you'd usually get on the Jon Bon Chovy pizza (tomato, mozzarella, anchovies, capers and chilli) or one of their meatier n'duja or ham-topped specials. Stew meets pizza, what a momentous thing. Everything at this Italian restaurant in Soho is gluten-free, which is bloody marvellous. But for peak Italian comfort food, you've got to go for one of the stuffed delights. Yes it's hard to pass up the chance to gorge on homemade pastas, but when you get your teeth into the crepes stuffed with aubergine, tomato and mozzarella, or some crispy arancini packed full of meaty bolognese sauce, you won't be looking back. But if pasta is a must, opt for a steaming plate of chestnut pappardelle with mushroom and truffle oil. Double cream can be added for extra indulgence, and it really hits that sweet spot where comfort food meets full-on decadence. The cooking methods mean Duck & Waffle labels its waffle options as 'gluten-conscious' rather than gluten-free. If you're alright with that, the insanely decadent signature dish with confit leg of duck, fried duck egg and maple syrup is an option. It's a comforting treat at any time of day, but this sky-high restaurant is open 24 hours a day and we're not sure that there's anything much more indulgent that whizzing up to the 40th floor to watch the sunrise over London with a gluten-free waffle in hand.